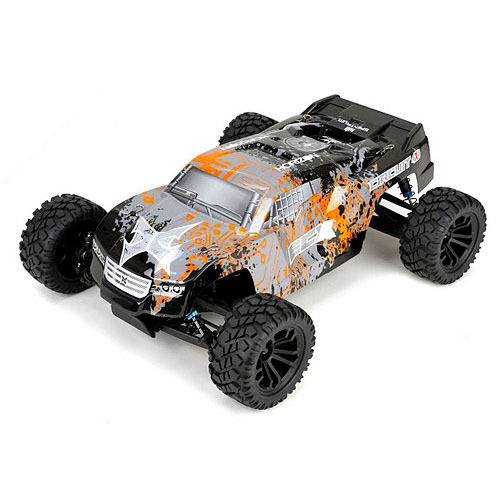 Horizon announced today some new ECX vehicles, now with four-wheel-drive! The ECX Torment, the ECX Ruckus, and the ECX Circuit will be soon available as 4x4 platforms. The new vehicles also include a new, LiPo-ready speed control and will be equipped with Spektrum's new Advanced Vehicle Control (or AVC) technology first seen on the Vaterra Halix and Losi Rally. I'm interested in these vehicles. I've been a big supporter of the ECX line, but I've also had my complaints. When these vehicles arrive sometime in March, we'll know then if the guys at ECX improved on the issues I took with their 2WD vehicles. And the information we have as dealers calls these new vehicles "fully upgradable". Hopefully that means hop-ups are on the way as well. The new 4x4 Torment, Ruckus, and Circuit will run $239.99 for a complete Ready-to-Run package, and as previously mentioned, they are due in March. Hit the link below for pictures of the new cars.